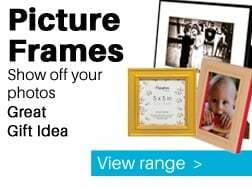 This entry was posted on December 6, 2018 by Gaz from Cameraworld London Branch. Sony’s A7-series of full-frame mirrorless cameras have caused a stir but it’s taken until the 3rd generation for the cameras to deliver what enthusiast photographers really want. Nikon, however, seems to have skipped the evolution stage and introduced two cameras that are set to hit the ground running. After extensive testing, I’m happy to say that the Z6 is exactly what Nikon bills it as. An excellent all-rounder. Its 24.5Mp sensor captures images with a good level of detail and attractive colours. Meanwhile, its AF system is fast and reliable and the burst depth is deep enough to make it useful for shooting sport. Add in the fact that the Z6 has the same solid weatherproof build and lovely handling as the high-resolution Z7, and I think Nikon has a success on its hands. The only downside is the single card port, but for many, especially those who started out shooting on film, it’s not a major issue. Nikon photographers who have been eagerly awaiting a full-frame mirrorless camera now have two options. The high-resolution Z7 or the all-rounder Nikon Z6. I’ve shot with both, but this review focuses on the Z6. Like the Z7, the Z 6 uses the new Expeed 6 processing engine. However, in the Z6 it enables a maximum continuous shooting rate of 12fps. The standard sensitivity range is also ISO 100-51,200, expandable to ISO 64-102,400. This is backed-up with a 273-point hybrid focusing system that uses phase and contrast detection. The imaging sensor is used for the focusing so there are pixels dedicated to the AF system. It means that the AF performance is the same whether you’re shooting using the viewfinder or the screen. Nikon is aiming to combine the benefits of an SLR with those of a mirrorless camera with the Z6 and Z7. Consequently, the viewfinder has to be bright and clear. With this in mind, there are Nikon optics in the 0.5-inch electronic viewfinder (EVF). Fluorine and anti-reflective coatings have also been used to repel dirt and banish reflections. With 3.6million dots, it’s a high-resolution device and it shows 100% of the image with 0.8x magnification. That resolution is the same as the Sony A9’s viewfinder. It’s great to see it in a camera aimed at a wider audience. The EVF’s refresh rate is 60fps. As a result, the image is smooth even when following a moving subject. However, Fujifilm offers an even higher rate of 100fps with the X-T3’s EVF. Nikon has plumped for a 3.2-inch 2,100,000-dot tilting touch-screen on the back on the Z 6. Unlike Sony, Nikon hasn’t limited the use of the touch-control, you can tap and swipe on the screen to navigate the menu, make setting selections, set the AF point and scroll through images. There’s also a small status LCD that shows key settings on the Z 6’s top-plate. While designing its full-frame mirrorless cameras, Nikon has also developed a new lens mount. This isn’t a decision that has been taken lightly. 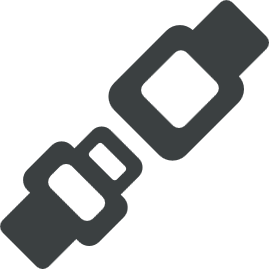 However, it removes some of the restrictions imposed on the optic and sensor engineers by the F mount. The mount diameter jumps from 47mm with the F mount to 55mm with the Z mount. That gives much more scope for letting light into the camera – and future cameras. Whereas the F mount limits the maximum aperture to f/1.4 or f/1.2 at the very most, the new mount makes f/0.95 lenses feasible. In fact, there’s already one in the pipeline. Although the diameter of the mount may have been increased significantly, the flange depth has shrunk to just 16mm. That and the lack of a mirror means that the Z6 is very slim – although there’s still a beefy grip. 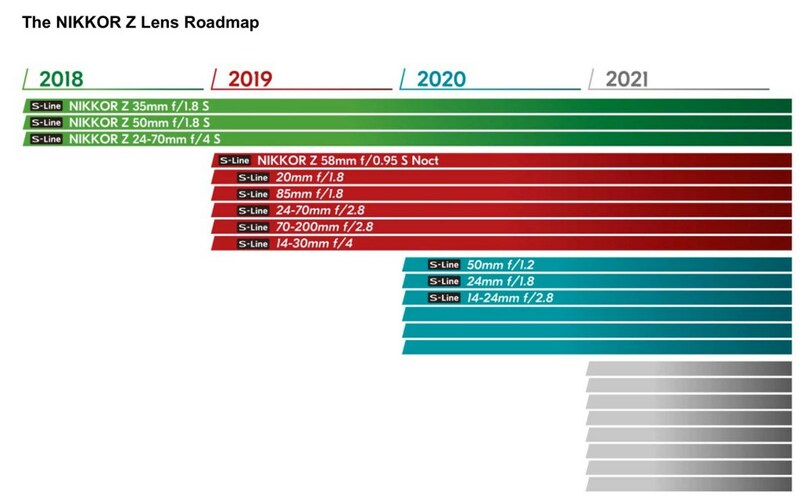 Although there are only three S-Line or Nikkor Z lenses available when the Z 6 first goes on sale (Novemeber 2018), Nikon has revealed its lens roadmap. This shows six more lenses coming in 2019. In addition to the luxurious Nikkon Z 58mm f/0.95 S Noct there will be optics that will be high on any enthusiast or pro photographer’s shopping list. The 85mm f/1.8 will appeal to portrait photographers, for example, while the 24-70mm f/2.8 and 70-200mm f/2.8 have all-round appeal. It will be interesting to see how big the f/2.8 lenses are. The 24-80mm f/4 is a nice size with the Z6 but a larger aperture will probably mean a larger lens. 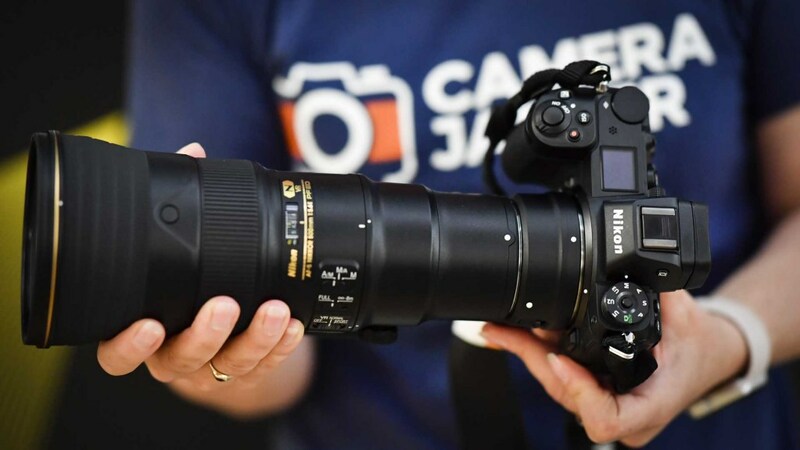 However, as the image below shows, the AF-S NIKKOR 500mm f/5.6E PF ED VR is impressively small. So Nikon has clearly been working on downsizing optics. 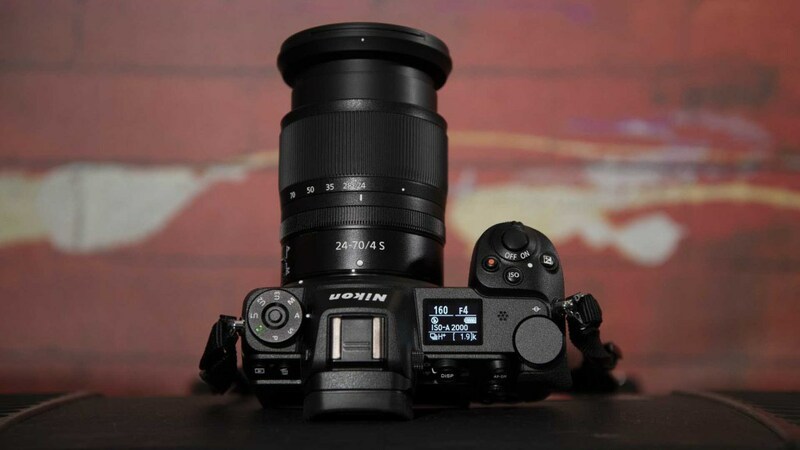 In another break from Nikon tradition, the Z6 has a 5-axis stabilisation system built in. This is claimed to give 5EV of shutter speed compensation. Using in-body image stabilisation (IBIS) avoids having to put Nikon’s VR system in the S-line (or Nikkor Z) lenses. That should help keep size, weight and prices down. As I mentioned earlier, the Nikon Z 6 has hybrid autofocusing. 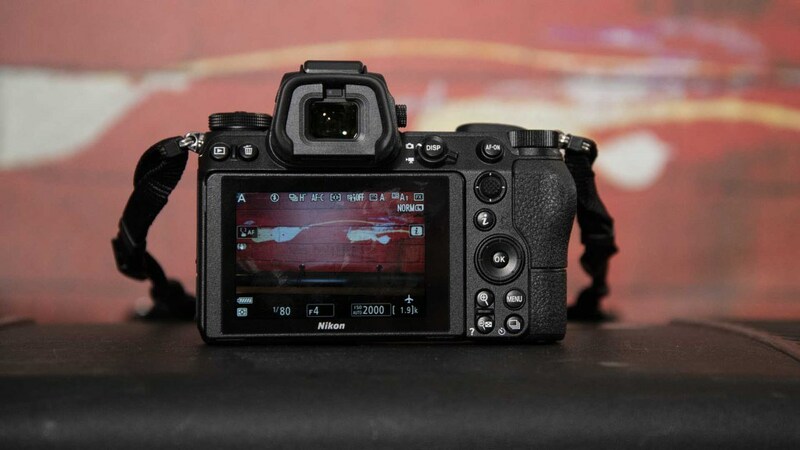 This is a change from Nikon’s DSLRs which use a dedicated phase detection sensor for shooting with the viewfinder and contrast detection focusing for Live View and video shooting. The Z 6 has 273 AF points that cover around 90% of the sensor. As a result, you can focus on areas much closer to the edge of the frame than you can with a DSLR. This means you don’t have to use the focus-and-recompose technique. In addition, you can track subjects around more of the imaging frame. Like the Z 7, the Z 6 has five AF point selection modes. However, the choice changes a little depending upon whether you are In Single AF (AF-S) or Continuous AF (AF-C) mode. In AF-S mode you have the choice of Pinpoint AF, Single-point AF, Wide-area AF (Small), Wide-area AF (Large) and Auto-area AF. Switch to AF-C mode and you’ll find Single-point AF, Dynamic-area AF, Wide-area AF (Small), Wide-area AF (Large) and Auto-area AF available. In Auto-area AF, the camera attempts to detect the subject automatically. If you press the OK button a tracking point becomes visible. You can then move this over the subject, press OK again, and the camera will attempt to track it around the frame. This operates in both AF-S and AF-C mode but it only adjusts the focus in AF-C mode. Like the Z7, the Z6 can record 4K UHD (3840 × 2160) video at 30p with full-frame readout. Slow motion lovers will also like the fact that Full HD footage can be recorded at up to 120p. Footage recorded internally is in 8bit colour. However, if you connect an external recorder via the HDMI connection, it’s possible to record 10bit 4:2:2 colour with N-Log for better grading and colour matching. Using N-Log and 10bit recording extends the tonal range to 12stop or 1,300% dynamic range. There’s also Timecode, focus peaking and zebra display. 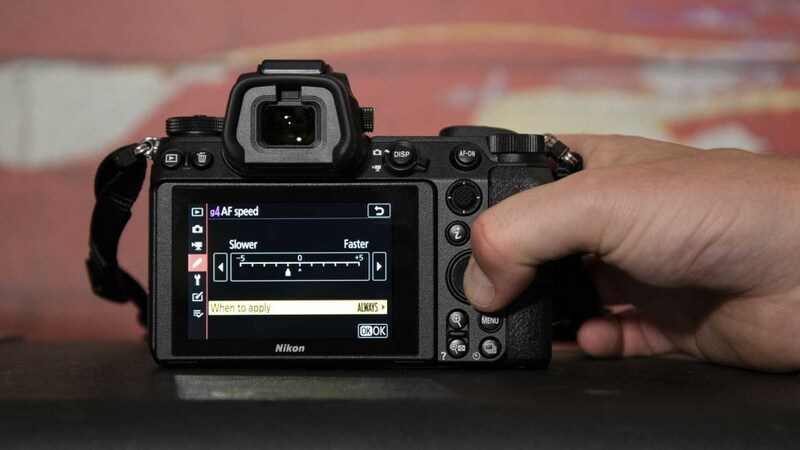 It’s also possible to adjust both the focusing speed and tracking sensitivity across 7 steps. That’s useful when you have a moving subject or when you want to slow focusing for a more cinematic appearance. While most manufacturers are going with SD cards and putting dual slots in their enthusiast-level mirrorless cameras, Nikon has gone for just one XQD card slot. There will also be a firmware upgrade to make it compatible with CFexpress cards. 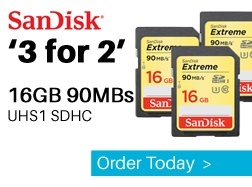 That’s quite a brave decision, but it’s been made to keep the speed up and size down. A single card port is likely to be less of an issue for the Z6’s intended audience than it is for the Z7’s. The Z6 has Wi-Fi and Bluetooth connectivity built in as part of the SnapBridge system. However, the Wi-Fi can be used directly if you prefer. A dedicated CPU is incorporated into the Z6 to help maintain the connection. Alternatively, the Z6 is compatible with Nikon’s WT-7 wireless adapter. Like the Z7, the Z6 uses a new EN-EL15b battery. However, it can also accept the D850’s EN-EL15a battery. 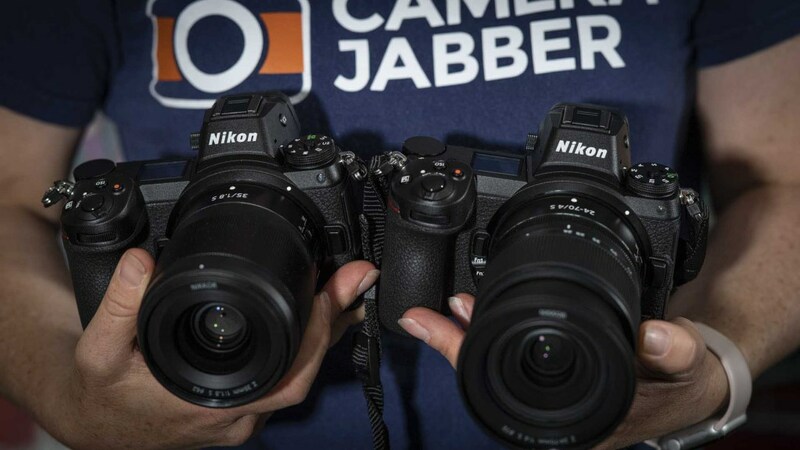 Nikon has given the Z6 exactly the same form factor as the Z7. That means if you’re lucky enough to be able to afford both, you shouldn’t have any problems switching between the two. I certainly haven’t missed a beat when swapping around. Both of Nikon’s full-frame mirrorless cameras feel solid and durable. And given that they have a magnesium alloy body and weatherproof seals, they should survive some serious use. I’ve used both in rain, sunshine and drizzly mist and neither missed a beat. It’s clear that Nikon has put quite a bit of thought into the design and has done a great job of keeping the size down despite the huge lens mount. Crucially, the grip is nice and deep so the camera feels really comfortable in your hand. The Z6 feels nicely balanced with the 24-70mm and 35mm lenses mounted. Even the new AF-S 500mm looks quite sensible on there – but then it is a surprisingly small lens for the focal length! Naturally, you have to give the lens a bit of support with your left hand, but the deep grip helps you keep it steady. Although the Z6 is small for a full-framer and it has an extensive array of buttons and dials, there’s enough room for your fingers and thumbs. 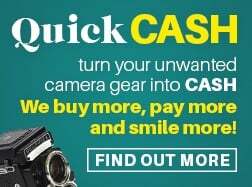 The buttons on the back of the camera are all within easy reach – mostly by your left thumb and there’s a conveniently positioned mini-joystick for setting the AF point. As soon as you pick-up the Z6 and start exploring the controls or dipping into the menus it’s apparent that it has a lot in common with cameras like the D850 and D750. However, the size reduction means that the button layout has been reconsidered. I think the control layout is one of the best I’ve come across on an interchangeable lens camera. I love the fact that Nikon has allowed so much touch-control. You don’t have to use it if you don’t want to, but it’s there if you do. And it really speeds some aspects. Pressing the ‘i’ for Info button, for instance, reveals a panel of 12 features that can be selected and adjusted with taps on the screen. If want you can use the physical controls but you have to press repeatedly to navigate over to the feature you want. You can also customise this Info screen so you access the 12 features that you need most often. The main menu options can also be selected by tapping the screen. I’m pleased that Nikon has enabled the Auto ISO mode control via the ‘i’ menu. On DSLRs like the D850 it’s in the main menu and it can cause confusion when adjusting the exposure settings. Strangely, you still can’t access the Auto ISO options via the dedicated ISO button though. Nikon has used a mode dial like the D750’s on the Z6. I much prefer this approach to the button and dial system of the D850. I think it’s quicker and easier to select the exposure mode that you want. Across the top-plate and on the back of the camera you’ll find all the buttons that you’d expect. The AF-on button is conveniently placed for back-button focusing lovers. In addition to the tilting 3.2-inch 2,100,000-dot screen on the back of the camera, there’s a status screen on the top-plate to show key settings. It’s a nice touch that adds to the high-end feel. It even adapts the lighting conditions so you’re not dazzled. The main screen is very responsive to touch and there’s plenty of detail visible. It can also be tilted up or down to give an easier view at high or low shooting angles. Thanks to the small size and weight of the camera, it’s easy to hold the Z6 steady while looking at the screen and shooting video. As you’d expect you can set the AF point and trip the shutter with taps on the screen if you want. Unfortunately, there’s no trackpad option to use the screen while you’re looking in the viewfinder though. Perhaps that may come with a firmware update? If you think you don't like electronic viewfinders, you need to look at the 3.6million-dot EVF in the Z6. It’s great. Aside from the fact that you can see how changing exposure or colour settings impacts upon the image, the view is very natural. And if you follow a moving subject, there’s no lag or tearing. 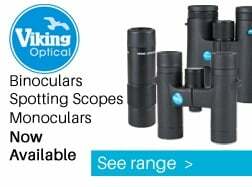 It’s as close to an optical finder as you can get while still having the benefits of an electronic finder. It shows an accurate preview of the image so it can be relied upon for assessing exposure, white balance and colour. 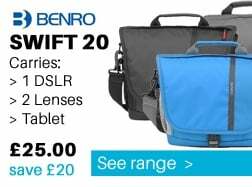 If you’re quick and shooting in an automatic or semi-automatic mode, you may spot the brightness of the image changing in the viewfinder when you lift the camera to your eye. However, it happens quickly so you may not notice it. The Canon EOS R does the same thing but slower so it’s more noticeable and annoying. After shooting extensively with the Nikon Z 7 I had a pretty clear idea how the Z 6 would perform and I’m happy to say, it has lived up to my high expectations. Having a lower pixel count on the same size sensor gives the Z6 a few advantages over the Z7. The larger pixels are able to gather more light which means that noise levels are lower – not that the Z7 struggles in that area! Also, as the sensor is used for autofocusing, the AF system is more sensitive. And the smaller file sizes of the Z6 means it has a faster maximum continuous shooting rate (12fps) and deeper burst depth. For example, you can shoot 44 large fine Jpegs in one burst with the Z6 and 25 with the Z7. When I was photographing football with the Z7 I had to be mindful of the burst depth with the Z7. When I was shooting with the Z6, however, I didn’t find the burst depth restricting. Nikon is pitching the Z 6 as an all-rounder, which means it needs an autofocus system that can cope with a wide range of subjects and conditions. After shooting with the Z 7, I was already reasonably confident about the Z 6’s autofocus (AF) system. And now I’ve been able to photograph a football match with the Z 6, I’m even more impressed. The conditions at the match were perfect, low sun giving a nice warm glow and good contrast. And the Z6 responded well, getting everything I pointed it at sharp. It also proved extremely good at keeping the subject under the active AF area sharp. As the match progressed and the sun began to set, the light became more challenging yet the Z 6 kept up well. This is especially impressive as I was shooting with the AF-S Nikkor 80-400mm f/4.5-5.6G ED mounted via an FTZ adaptor. The majority of images were shot at the 400mm end where the maximum aperture is f/5.6. As I also had the Nikon Z 7 with me, I was able to compare its performance in the same conditions. Its AF system good but the Z 6’s is just a bit snappier. Also had the Sony A7 III with me, although this benefited from an f/2.8 lens, and the Z 6 compared very well indeed. Further good news is the Z6’s AF system copes a bit better with low-light than the Z7. The 24.5Mp Z6 produces images with 6048×4024 pixels. That means they measure 51.2x34cm or 20.2×13.4inches at 300dpi. That’s more than enough for most photographers. And while it can’t capture the same level of detail as the Z7, there’s plenty of detail on show. Noise is also controlled extremely well. At ISO 3200, for instance, there’s only the merest hint of noise visible in images at 100% on-screen. However, I’d be inclined to keep the sensitivity setting below the ISO 51,200 native maximum if possible. At this value, some out of focus low contrast areas lack detail. The crackings between distant paving slabs become lost, for example. However, if the background has a bit more contrast, the detail looks pretty good, so it’s something the keep in mind rather than make a hard rule. Nevertheless, I’m happier keeping the ISO to 25,600 or lower. I customised the manual focus ring on the Z lenses I was sent to adjust exposure compensation. I find this a really intuitive way to work. This means that when I’m shooting in aperture or shutter priority, I can tweak the exposure as I’m looking in the viewfinder. It’s a tad easier than reaching for a button and rolling a dial. With this set-up, I had no reason to switch away Z6’s matrix metering system. In many situations, it delivered an accurate exposure by itself, but there were a few occasions when I reduced the exposure just a little. Like the Z7, the Z6 doesn’t want for automatic white balance options. In addition to the three AWB settings (A0 – Keep white, A1 – Keep overall atmosphere and A2 – Keep warm lighting colours), there’s a Natural Light Auto setting. It’s worth trying each one in the lighting conditions to see which you prefer. I used Natural Light Auto and A2 the most, but A1 is useful in artificial light. On a few occasions, I used the Cloudy setting to warm up my images a bit, but some are a little too warm. Nikon’s Standard Picture Control mode is a good all-round option. I used it for a wide range of scenes and I’m happy with the results, they match what I saw at the time. Occasionally, the Vivid setting is useful when colours are bit flat but it can make grass look a bit too vivid. I like to shoot Monochrome images in-camera, capturing a Jpeg and a raw file with all the colour information. The Z6’s Monochrome Picture Control setting handles tones reasonably well but I prefer the results when the Clarity is boosted by 2 or 3 points. 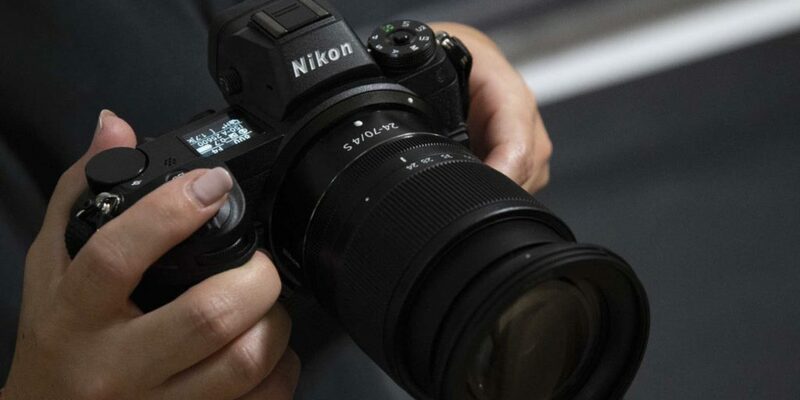 SnapBridge is Nikon’s combined Bluetooth and WiFi system that simplifies connecting your camera and phone to transfer images or control the camera remotely. Well that’s the theory. It’s had a chequered past. I first used it with the Nikon D500 and it performed very well, only occasionally requiring the app to be restarted to trigger the automatic image transfer. Subsequently, I’ve tried to use it with other cameras and it’s been less helpful. In fact, in some instances, it’s been downright frustrating, especially when trying to control the camera with a phone. Nikon has been working on the system for a while trying to improve it. I found the Z6’s SnapBridge works well. It connected easily enough to my iPhone and most images transferred across automatically. However, if the camera and phone were out of range at any point, I usually had to restart the app or toggle between its Camera and Phone icons to remind it to work. The Remote photography option, which allows you to control the camera with a phone also worked well. There’s a short delay between tapping Remote photography on the app and the connection to the cameras being made, but the connection seems pretty stable. The camera also responds quickly to a tap on the phone’s screen to set the AF point or fire the shutter. 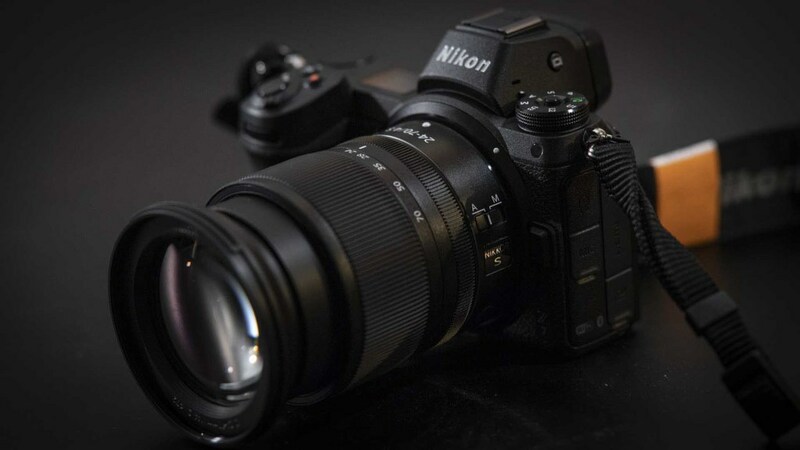 By giving the Z6 and Z7 the same specification (with the exception of anything pertaining to their pixel count) and identical build and handling, Nikon has given users a real choice without compromise. 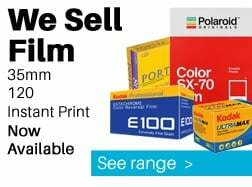 You can have a lower price and lower resolution for better low-light performance and faster continuous shooting without having to miss out on the weather-sealing. The Z6 is a great price for a full-frame camera with so many features. I think that it’s the camera that many Nikon photographers have been holding out for. It combines the handling that you expect from a Nikon DSLR with some great mirrorless camera advantages. The electronic viewfinder is superb, coming as close to an optical viewfinder as you could wish for. Further good news for existing Nikon photographers that the Z6 works very well with Nikon F lenses. The autofocus system is very fast and accurate with lenses like the Nikkor 70-200mm f/2.8 E FL ED mounted via the Nikon FTZ. It’s also good in low light. It’s a bit behind the Canon EOS R in that respect, but it focuses well even in quite dim conditions. Nikon is aiming the Z6 and Z7 at photographers who already have a range of Nikon lenses. However, their handling and image quality make them enticing options for a wider audience. It’s a shame about the single card slot but I think that’s less of an issue for Z6 owners than Z7 photographers. Time will tell whether XQD cards have the robustness that we hope for. Angela Nicholson is a freelance photographer, journalist and reviewer of cameras and photographic equipment. She has been testing camera gear from all the major manufacturers since January 2004 and was Amateur Photographer’s Technical Editor and Head of Testing for Future Publishing’s extensive photography portfolio (Digital Camera, Professional Photography, NPhoto, Photoplus, Photography Week and Practical Photoshop magazines as well as theDigital Camera World and Techradar websites). 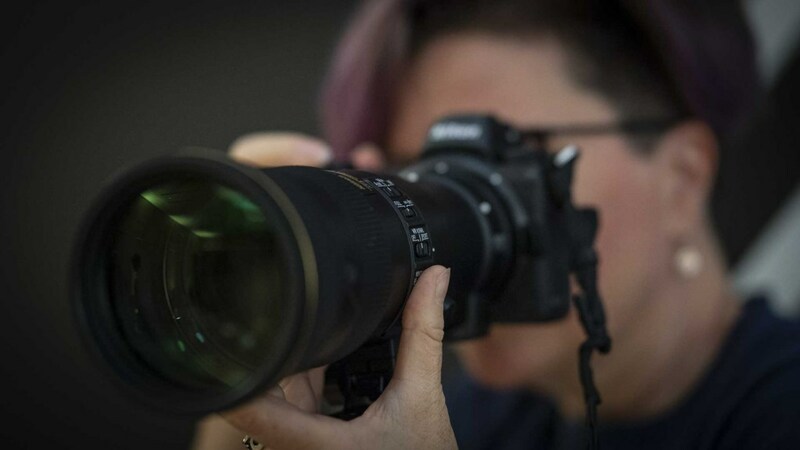 She has written numerous news and photographic technique articles, covered product launches and major photographic events such as Photokina, PMA, CES and The Photography Show, produced advertorials, generated social media content and assisted with product development – cameras, accessories, magazines and websites.